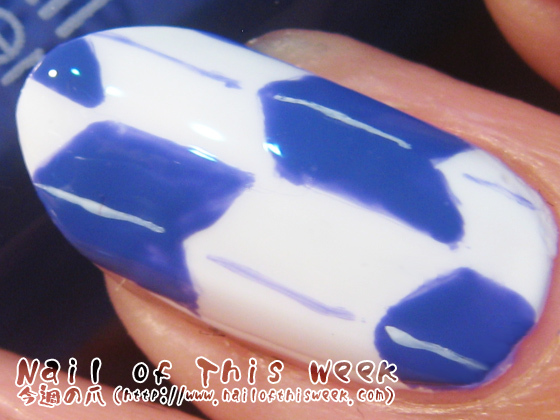 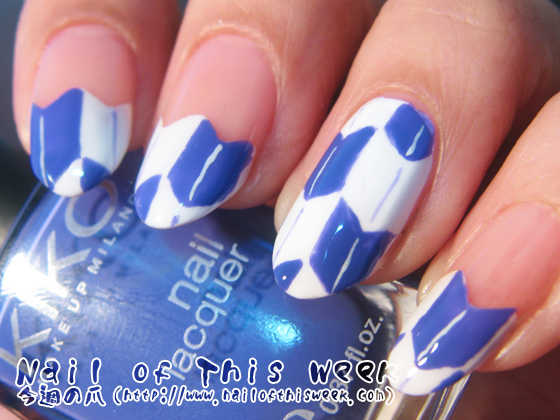 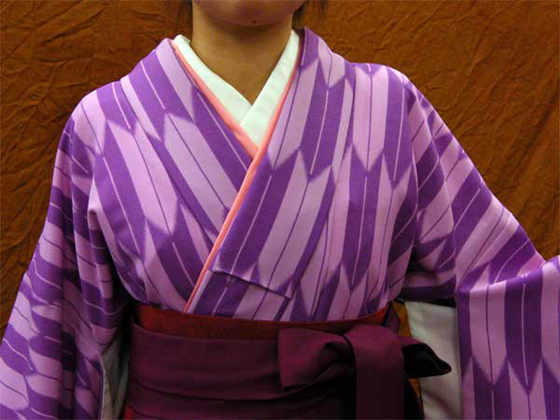 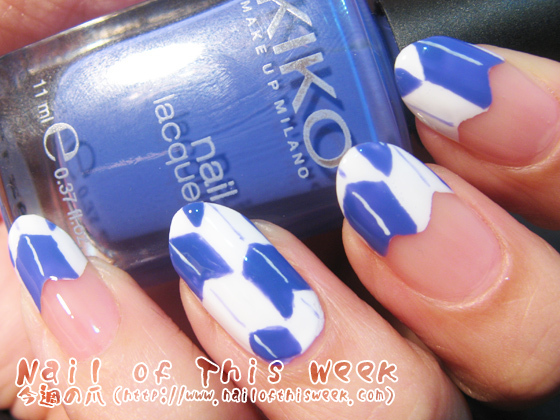 31 Day Challenge, Day 26: Inspired by a Pattern : Nail of This Week. 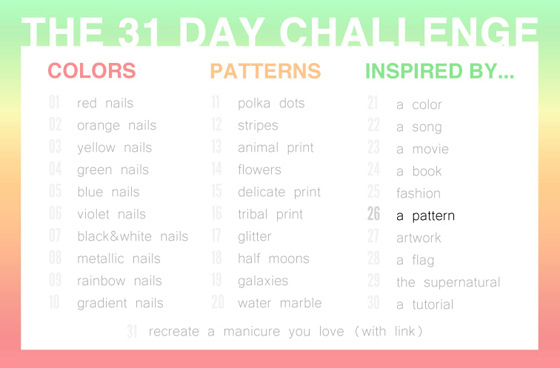 26th day of 31 Day Challenge, today’s nail is inspired by a Pattern! 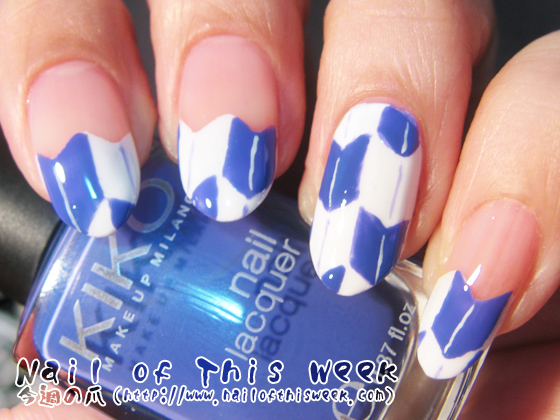 Such a nice interpretation and so well done!